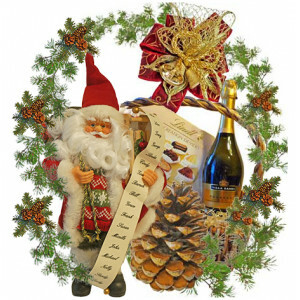 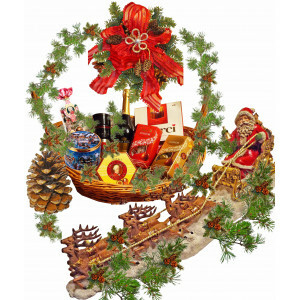 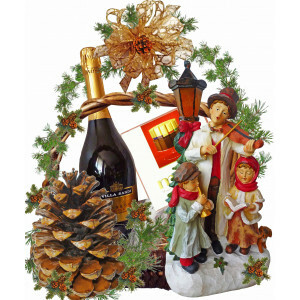 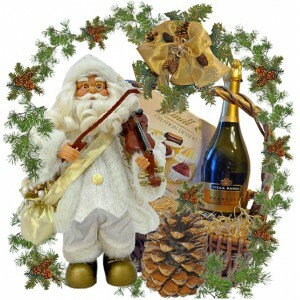 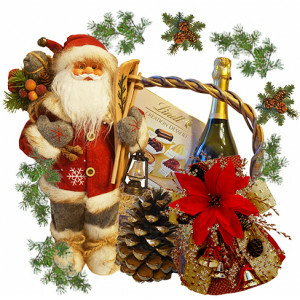 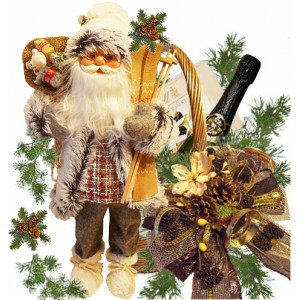 Santa Wish List in Christmas BasketOur woven basket includes:* LINDT Creation Dessert - 17..
Musical Santa Violin gift basketOur woven basket includes:* LINDT Creation Dessert - 170 g;* Musical..
Santa Gray Coat in Christmas BasketOur woven basket includes:* LINDT Creation Dessert - 17..
Santa Ski in Christmas BasketOur woven basket includes:* LINDT Creation Dessert - 170 g;*&..
Glass Angel in Christmas BasketOur woven basket includes:* LINDT Lindor Milk Chocolate- 20..
Violinist LED lamp - Christmas BasketOur woven basket includes:* MERCI - Chocolates 250 g;* Street V..
Fairy Fiber Optic in Christmas BasketOur woven basket includes:* LINDT Lindor Milk chocolates ..
Snowman in Christmas basketOur woven basket includes:* MERCI - Chocolates 250 g;* Snowman and mailbo..
Santa's Sleigh in Christmas BasketOur woven basket includes:* Christmas Santa's Sleigh - 35 cm;..
Resine Dog in Christmas BasketOur woven basket includes:* LINDT Lindor Assorted - 200 g;* ..
Christmas for her basketIf you want a really unique gift, then this is the one to make!The basket in..
OLYMPIA Candlestick in Christmas BasketIf you want a truly UNIQUE gift, it is the gift you are looki..
Corinth Candlestick in Basket If you want a really unique gift, then this is the one to ma.. 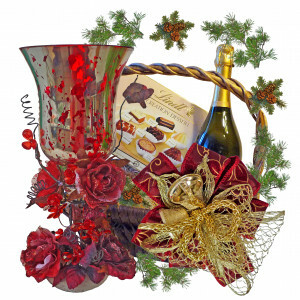 Gifts for her basketIf you want a really unique gift, then this is the one to make! 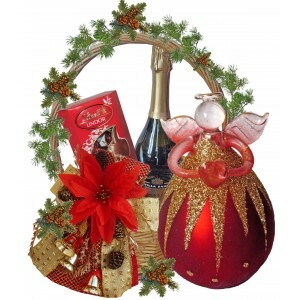 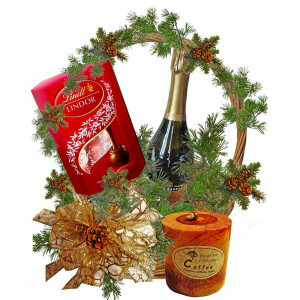 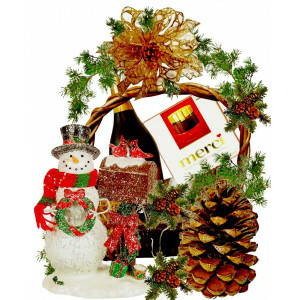 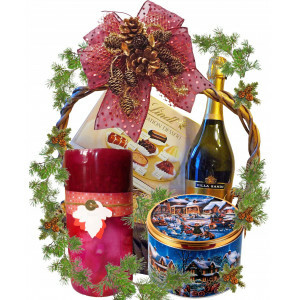 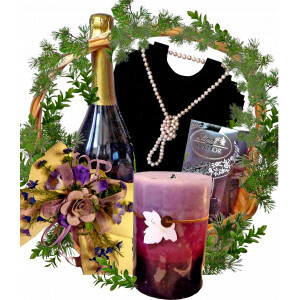 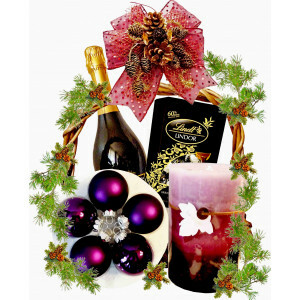 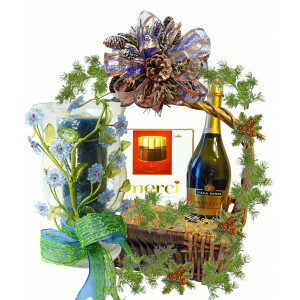 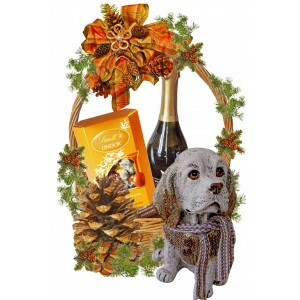 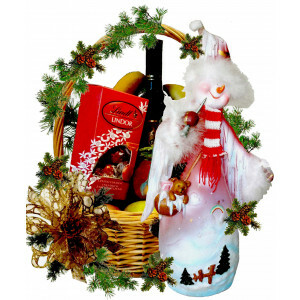 The basket inclu..
Scented candle in a gift basketOur woven basket includes:* LINDT Creation Dessert - 170 g;* Tinned C..
Share the Joy - Gift basketOur woven basket includes: * LINDT Lindor Milk Chocolate;* Scented C..